Jolly Heart Mate Canola Oil and Chef Donita Rose went to celebrate the brightest festival in Northern Luzon—Ilocos City’s Raniag Festival—a bright, joyful and colorful week-long experience of festivities that are filled with fun and food! Every year, Ilocanos go home to celebrate and offer thanksgiving packed with exciting experiences of candle floaters, street dancing, sky lanterns and an electric parade of floats. For many Ilocanos, the Raniag Festival is also a time to enjoy homegrown and all-time favorite Ilocano delicacies as the delicious centerpiece. 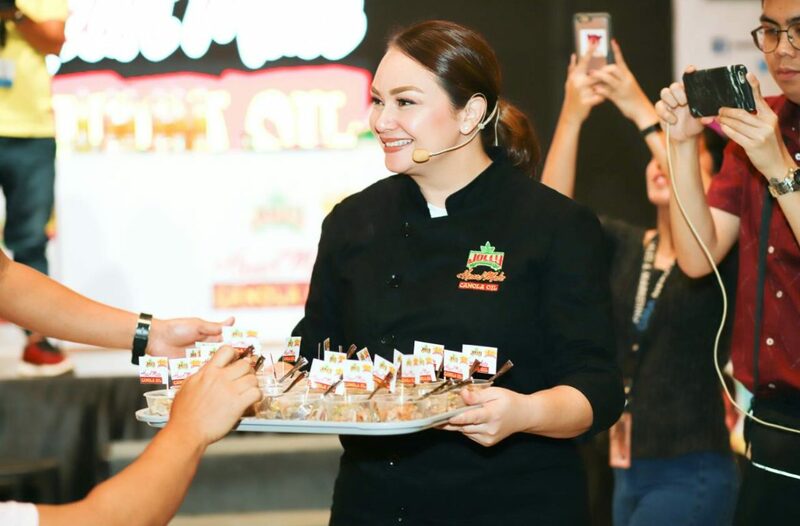 Recently, Jolly Heart Mate Canola Oil graced the Higalaay Festival in Cagayan de Oro wherein Chef Donita Rose shared her healthy take on famous Higalaay dish of Sinuglaw. This time, another classic Ilocos region’s dish of Beef Pigar Pigar was made more flavorful, healthier and perfect for all families with the use of Jolly Heart Mate Canola Oil. 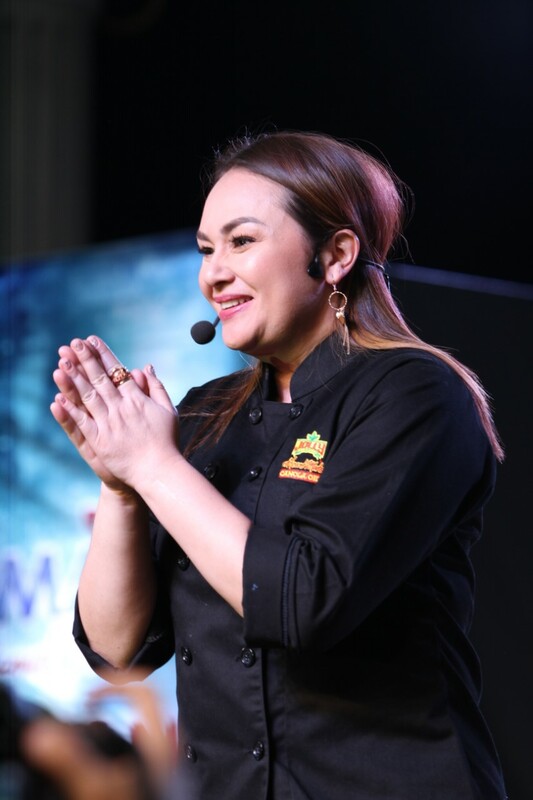 Furthermore, Chef Donita Rose went to Robinson’s Supermarket and JTC Supermarket in Vigan to sample her own rendition of Beef Pigar Pigar recipe. Together with other Kapuso stars, Jolly Heart Mate Canola Oil delighted locals recently at the Plaza Burgos wherein she shared another recipe that calls for “good for the heart” ingredients which inspired both foodies and home cooks to recreate it in their own kitchen. “Going around the Philippines during these wonderful festivals and sharing my twist on their local recipes is always such a fun and fulfilling experience for me. It’s truly an honor to be part of what Jolly Heart Mate Canola Oil has been doing in providing healthier and affordable food choices in local communities and helping spread the heart-healthy goodness of home cooking,” said Chef Donita. “We are thrilled to bring Chef Donita and Jolly Heart Mate Canola Oil to our local festival activations,” said Fly Ace Corporation Group Product Manager for Edible Oils, Zen Prudentino. 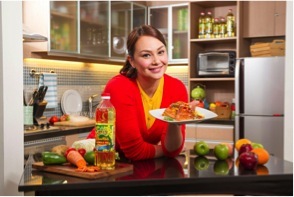 “We want to continue educating Filipinos nationwide about the importance of using heart-healthy cooking oil in everyday cooking. We don’t need to sacrifice the taste and flavor of our meals; it’s definitely possible to always prepare inexpensive healthy and tasty meals with Jolly Heart Mate Canola Oil,” she added. Fiestas are always looked forward to not only for the extravagant street parties and town activities but also for the sinfully delicious feast served in every household. Jolly Heart Mate Canola Oil is packed with good fats such as Omega 3 and 6 that are great for the heart, you can savor every bite knowing that you’re eating guilt-free, heart-healthy food. With the country’s consistent No. 1 and most trusted cooking canola oil brand, Jolly Heart Mate Canola Oil is undoubtedly your cooking companion in preparing food for different festival dishes. It also has Vitamin A that helps improve eyesight and has the lowest saturated or bad fats among all kinds of cooking oil which makes it a healthier option. Jolly Heart Mate Canola Oil also has a high smoking point making it the most ideal cooking oil for frying and deep frying. Chef Donita Rose, together with GMA and Jolly Heart Mate Canola Oil, will also surprise the Aklanons with heart-healthy, heartwarming dishes at the highly anticipated Ati-Atihan Festival on January 2019. For more information on Jolly Heart Mate Canola Oil, visit their Facebook Page on www.facebook.com/JollyHeartMateCanolaOil. Fly Ace Corporation is one of the leading food and beverage consumer goods companies in the country today. Propelling limitless multiple-category growth by bringing the best of the world closer to Filipino consumers, Fly Ace Corporation’s portfolio of food and beverage products includes house brands and exclusively distributed brands. To learn more about Fly Ace Corporation, visit www.flyacecorp.com.